The Luther most frequently referenced in pop-Christianity is not the complete Luther. Like most of us, Luther’s views changed and evolved over time. A simplistic view of history suggests that Luther posted his 95 Theses with a fully formed Protestant theology. In reality, we must treat early Luther as a man in development. 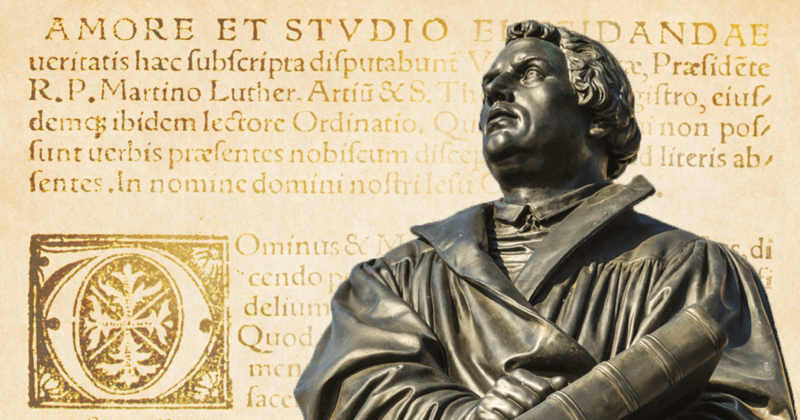 Luther’s initial work is important and worthy of our attention, and yet the “post-1525 Luther is vital” for understanding the man himself and the reforms he helped to start. It’s a bold declaration made in 1522. It’s full of that typical Luther fire and it aligns well with the man’s own thinking about the importance, priority, and power of the Bible. It’s also not really true, and the years after 1525 would show how Luther’s thoughts on the reformation changed. It was a whole lot more work than he implied in 1522. By the late 1520s it was clear that there was going to be no Protestant uniformity. Luther and Zwingli could not agree. Furthermore, the Lutheran reformation itself was in jeopardy as Lutheranism became associated with the Peasant’s War, and various cultic leaders began to lead people away from reform and into all sorts of mysticism, nationalism, and antinomianism. There was much work that was still to be done, and it was indeed going to be work. Older Luther had seen that desperate need for more formal structures of discipleship, a stronger pastoral and ecclesiastical framework. Post-1525 Luther began to work on consolidating the reformation. He did parish visitations, he wrote catechisms, and engaged in debates with the antinomians. He quite dramatically changed his views on the Jews, a point motivated by his changed understanding of eschatology. Things were different, and as a result Luther needed to rethink and clarify various things that he had believed and taught before 1525. May of those initial documents had so changed things that a new understanding of pastoral ministry, indeed of the Christian life itself, was needed. To understand Luther rightly we must see how important his later works are, they clarify and redirect our understanding of Luther. If we believe that the Luther of 1517, or 1520, or 1525 was the only Luther in history, that he wrote those initial documents as if they contained perfectly all his theology and thought we will miss important aspects of Luther. In fact, we will completely misrepresent the man, for the 95 Theses do not represent a fully formed doctrine of justification by faith, one of Luther’s key developments. We must be willing to see Luther as a man in development if we are going to see Luther as he truly was.